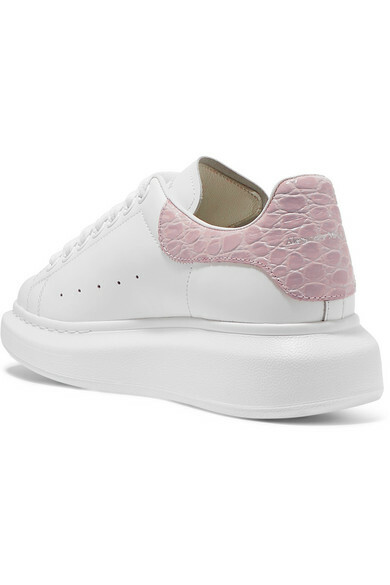 Thanks to their blush croc-effect heel tabs, Alexander McQueen's sneakers are subtle way to wear Spring '19's animal print trend. 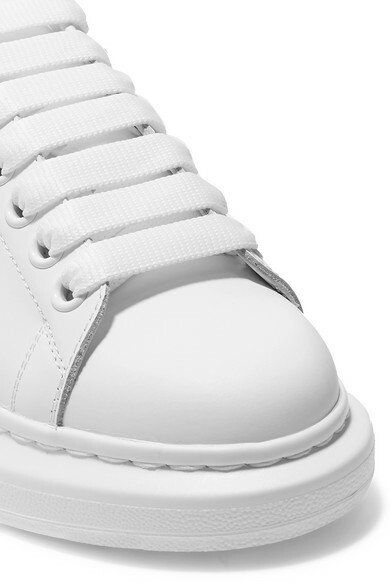 Grounded on the brand's distinctive exaggerated sole, they're made from white leather and finished with logo-stamped padded tongues. Balance the chunky proportions with cropped pants. 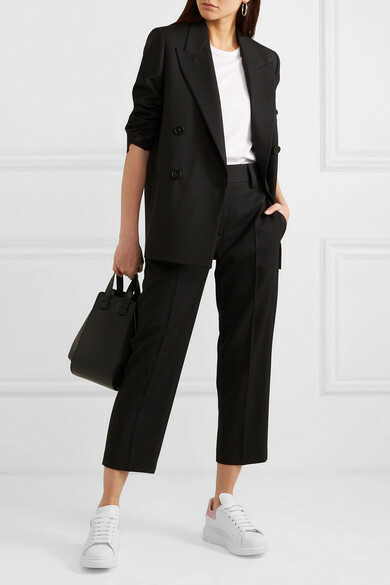 Shown here with: Victoria, Victoria Beckham T-shirt, Acne Studios Blazer, Acne Studios Pants, Loewe Shoulder bag, Jennifer Fisher Ring, Jennifer Fisher Earrings.